Yachthub, in conjunction with two insurance companies, Nautilus Marine Insurance and Topsail Insurance, offers boat insurance for all of your boating needs. With a wealth of boat insurance and boating expertise both insurance companies ensure your insurance is easy to understand and competitively priced. 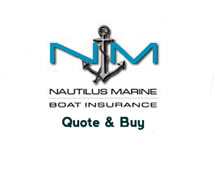 By clicking the link on this page, we will refer you to NM Insurance Pty Ltd (ABN 34 100 633 038 AFSL 227186) trading as Nautilus Marine Insurance which can deal in and provide general advice on boat insurance. We do not act on behalf of Nautilus or the insurer. We receive a commission (which is a percentage of the premium you pay) if you enter into a policy with Nautilus after we refer you (including renewals and some variations which may increase or decrease the premium payable). You will pay no extra by entering your Nautilus policy via Yachthub. You can ask for further information.